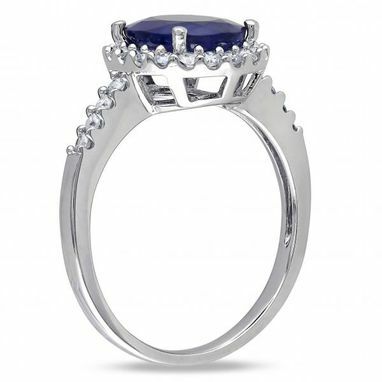 Here's a heavenly blue sapphire and halo diamond ring in a style favored by royalty. Set in 14k white gold, this engagement ring features a halo of sparkling diamonds orbiting a gorgeous, hand chosen, oval shaped blue sapphire. 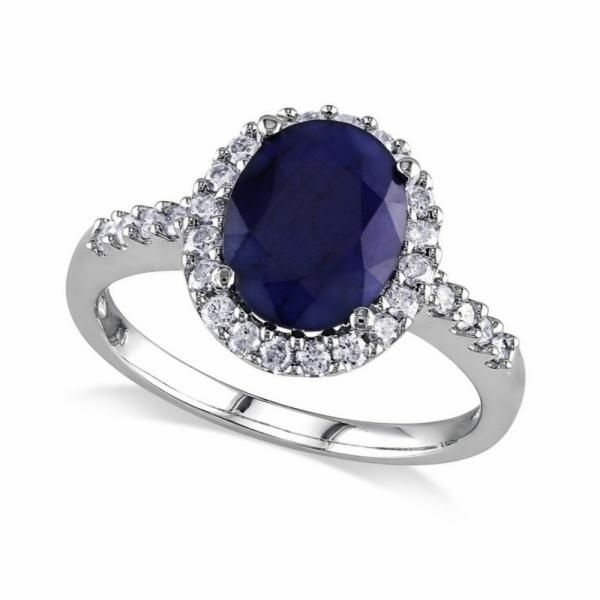 With additional diamonds as side stone accents, this engagement ring has a total weight of approximately 3.90 carats. 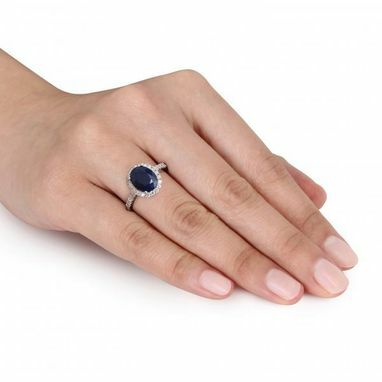 This ever popular blue sapphire and halo diamond engagement ring is sure to make her feel like a million bucks.